When Queen Mary’s looked to open a branch campus in Malta, its priority was to ensure that the experience of students based in Malta would be comparable with students based in the UK (but perhaps with more sunshine). Here’s how the Jisc Global Connect service – and partnerships with national research and education networks (NRENs) – made this happen. For Queen Mary University of London, of which the medical school is a part, there were four key goals: providing an equivalent student experience including ‘real-time’ teaching; ensuring continuity of service; delivering this to a tight deadline in order for the campus to open on time; and offering flexibility in the solution to meet future requirements. Getting connectivity sorted in time for the opening was a challenge after Queen Mary’s building was delayed in early 2017, which meant connectivity needed to be delivered to a temporary site to meet their grand opening date. “We had to get the programme up and running by September 2017, including commission and testing,” he says. Another challenge was an issue unique to Malta: providing diversity of connection from Malta’s main island to Gozo. “There was only a single fibre-optic cable across the sea to Gozo from mainland Malta,” Tavinder explains. Engagement with the Jisc transnational education (TNE) programme team was a key part of Queen Mary’s robust and lengthy planning process. Using our 30 years’ experience in education and research connectivity, and our strong global partner relations, we were able to identify a solution: providing connectivity from London to Malta via GÉANT, the pan-European network allowing Queen Mary in Malta, to ‘plug into’ an existing robust and resilient international network in a quick and cost-effective manner. In order to deliver door-to-door connectivity, the ‘last mile’ was provided by the Maltese NREN, at the University of Malta, via a secondary microwave link. At Queen Mary’s request, the Jisc TNE team managed the process and worked successfully with the NRENs to establish connectivity within Queen Mary’s requirements. Despite significant time pressures in getting connectivity established by September 2017, and changes to the University’s requirements mid-provision, Jisc were able to work closely and flexibly with the NRENs to deliver the solution to enable the Malta campus to open on time. The close and collaborative relationship established between the Maltese NREN and Jisc meant that there was flexibility in the connectivity arrangements. This proved useful when, following a successful first year of teaching, Queen Mary needed to double the bandwidth to 400Mbps in anticipation of increased student numbers, and also provide a secondary connection in order for them to move to their permanent location. Through the help of Jisc, the Malta branch opened on time in September 2017 – and according to Mitesh Patel, a lecturer at the time, in basic medical science at the Malta site, connectivity in Malta has been “very, very good. “We are the same organisation, running off the same platforms, accessing the same materials, and mapping the same knowledge,” he explains. 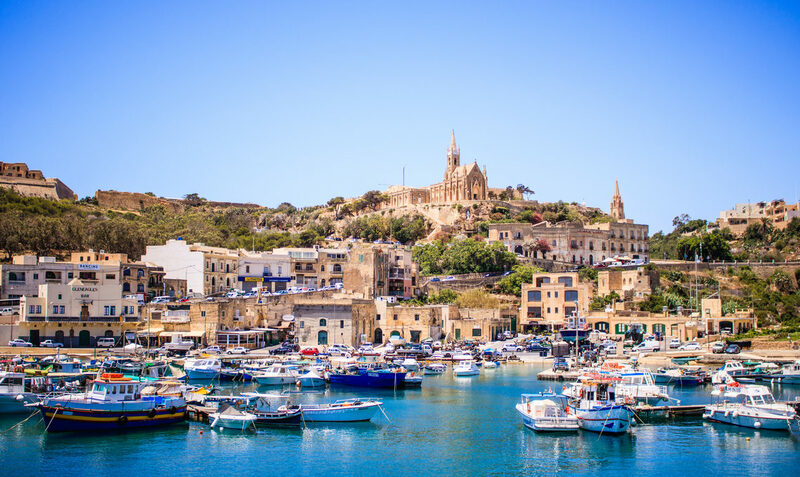 Students in Malta are also able to view recordings of lectures held in London and Malta over the QMPlus platform – helping support the learning process. “The opportunity to review lectures online is now a central component of how [students] learn,” says Professor Anthony Warrens, Dean for Education at the medical school. Staff can conduct meetings and training online – and, at the admissions stage, interview prospective students over a videoconferencing link. “We can maintain relations with the London campus and not physically have to fly out,” says Mitesh. Flying faculty staff arriving in Malta, meanwhile, are able to access Queen Mary’s emails and systems as if they were in London. “For them it’s like going to a different campus, not a different country,” he adds. With the establishment of the school, Queen Mary can extend a Bachelor of Medicine, Bachelor of Surgery (MBBS) programme from the UK to students from around the world – a major benefit given the relative scarcity of medical school places in London. The University plans to offer up to 300 places on their campus in Malta over a five-year period and if the Maltese campus is successful, it aims to use it as foundation for similar initiatives in other locations. The Jisc global connect service helps you establish the global connectivity you need, enabling customers to connect to Jisc and the Janet Network no matter where their teaching and learning activities are in the world. The service helps improve the experience for staff and students overseas, reducing the risks and complexity of international working, and in a cost-effective manner where possible. Jisc’s global connect (jisc.ac.uk/global-connect) service is well placed to identify solutions to members’ unique requirements and individual challenges.